Make the stationary vehicle model of your choice fit for Car System. 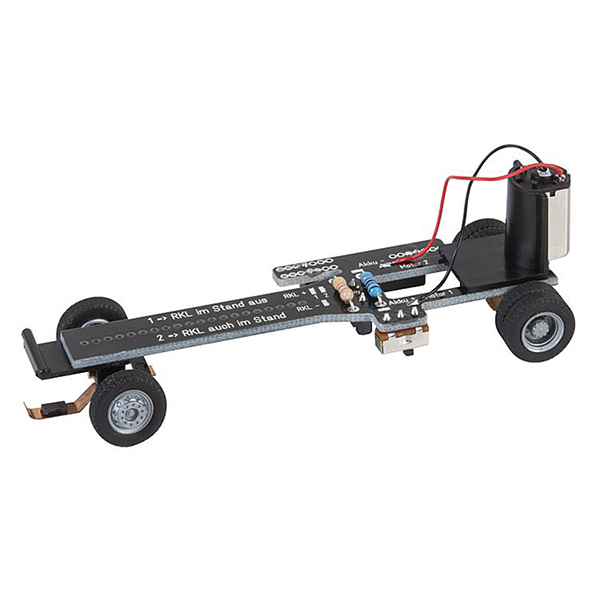 Chassis kit to motorize stationary models of buses and trucks for Car System operation. Set contains all vehicle components required for the assembly of a fully functioning two-axle Car System H0 chassis (bus and truck), except the rechargeable batteries: support PCB, motor with worm, motor holder with worm wheel and driving axle, driving wheels, front axle with wheels, steering rod with magnet, front axle holder, switch, charging socket, dry-reed sensor, resistors to adjust the charging current and driving speed.